Mon, Apr 8, 2019, 08:58 pm SL Time, ColomboPage News Desk, Sri Lanka. Apr 08, Colombo: Marking another milestone in the history of Sri Lanka railway transport, the newly constructed Matara - Beliatta railway extension on Southern coastal line was opened today for public service. 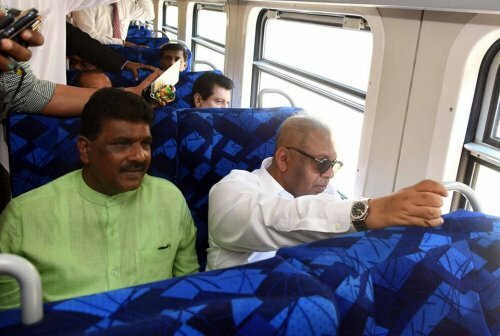 The new rail track was opened at the Matara station under the patronage of Minister of Transport and Civil Aviation Arjuna Ranatunga and Minister of Finance Mangala Samaraweera. 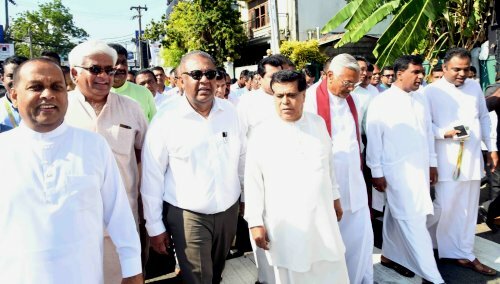 State Ministers Ashok Abeysinghe and Dilip Wedaarachchi as well as Parliamentarians Nimal Siripala de Silva, Chamal Rajapaksa and Mahinda Amaraweera joined in the occasion. Matara - Beliatta segment is the first phase of the extension of the Southern railway line which will be extended from Matara to Kataragama. The distinguished guests after purchasing the first tickets from the Matara Station to Beliatta commenced their journey to Beliatta after engaging in religious observances. Construction of the rail track from Matara to Kataragama was launched in the year 1991 by former President Ranasinghe Premadasa. The foundation stone with respect to this work is still visible at the Matara Railway Station. 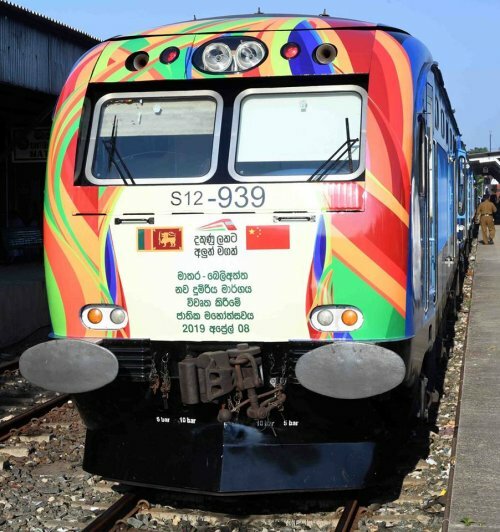 Construction of the Matara to Beliatta section at a cost of US$ 278 million was carried out by a Chinese company with the funding from China Exim Bank. Supervision is being carried out under the guidance of the Central Engineering Bureau. Four main stations have been constructed at Kekunadura, Bambarenda, Wevurukannala and Beliatta. Two sub stations have been setup at Piladuwa and Veherahena. The Piladuwa Railway Station was opened by Minister Mangala Samaraweera. Among those present on the occasion were Minister Arjuna Ranatunga, State Minister Ashok Abeysinghe and former Transport Minister Nimal Siripala de Silva. 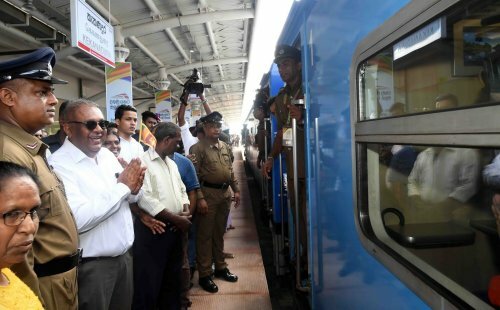 The opening of the Kekanadura Railway Station took place with the participation of many public representatives including Ministers Mangala Samaraweera and Arjuna Ranatunga. Seven trains will start running from the Beliatta railway station. One train will operate up to Galle and four trains to Maradana. The other two trains will operate to Jaffna and Vavuniya. Six trains will begin their journey from the Beliatta Railway Station and the destination of five of them is Maradana. One train will run to Vavuniya. Both the longest railway bridge in Sri Lanka and the second longest bridge are on the Matara Beliatta track. The longest, Watagama Bridge is 1500 meters long and the second longest bridge across the Nil Wala River is 1400 meters in length. Also the highest bridge from the ground in Sri Lanka is found along this track in the Weheragoda area at a height of 61 feet. The underground railway tunnel next to the Kekanadura Railway station measuring 2017 feet in length is the longest tunnel in the country. Also the platform of the Beliatta train station is the longest train platform in Sri Lanka at a length of 300 meters.